So have you ever had one of those seasons where you wondered where you were going and what you had gotten yourself into? I have plenty of times- especially this summer. The things that I held near and dear to my heart were always there, but unexpected good things definitely fogged my navigation window. 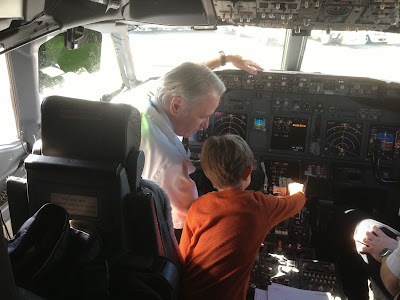 Much like this picture of my son being at the pilot's seat, I felt like I had all these buttons to learn, but I was left alone with only God on a radio and me as the pilot. God is really good at surprising me and I usually love surprises. I'm the kinda gal that loves spontaneity and adventure filled agendas with nothing on the menu but fun. But once in a while, my life takes a turn and I am just shocked by my unrealistic expectations of reality. First off, I thought I would never have another child. Although I wanted a quiver full, I was under the impression that we wouldn't have any more (not due to physical limitations- just due to other factors.) And I was feeling kinda okay with it- afterall I was getting older, my kids were getting independent and I was thinking of how I would educate them till I transitioned them to school one day. All of which fit perfectly in "my new plan." Then God moved and fogged my window in the future. I was pregnant. Simple as that, we were expecting our third. I went through a surreal moment different from the others because this was truly a GOD moment. I felt overwhelmed that He had heard my prayers and confused about what this meant for us and my family. Silly I know, but its true. Then we moved. Much like all military families you know the date, you know the place, and you move right into a..... hotel! It's fun while you search around the new neighborhood and then at the end of the day, you just really wish you were back at home (which happened to not be here). And of course while we are cleaning out the new place and accepting our tagged items - one by painstakingly one, I think of all the things I have to do to make this place a home. Not just the aesthetics, as most military wives can do that with their eyes shut, but the real stuff- the church, the community, the connecting, and making new friends. You see I've learned that even though I move to a new place, not everyone there is waiting for me to get here. I know shocking. And they also have their own lives and friends. Imagine... But it's true. So although my sweet aunt basically told me to buck up and make new friends when I whined on FB. And even though I was trying, real friends just don't come in a box when you move into a new neighborhood. You can't go to a restaurant and order up a new batch of friends for you and your family. Your kids don't always have a best buddy across the alley for them to yell to and no matter the times we went to the local park there was no guarantee we would find them there. We are people and we all take time. So we waited. I searched every outlet available. I befriended dog walkers and people who mistakenly smiled my direction. I tried. And at the end of the day, my pregnant self and sweet kids just missed our home and friends. My husband was gone on a "work up" (jargon for military work trip) just days after we unpacked and I was left listening to all the cracks and creeks of a new house- wishing it could be a home, our home. I would pull them close at night just to make sure if I had to leave (because someone saw us alone that day) that I could gather them up in a hurry and get out right away. I didn't sleep. I just laid there, waiting for the sun. I never doubted God was near. I always knew He heard me. But I was just waiting to make this our home. I went to every Bible Study available, I signed them up to every camp available, I called every person who gave me their number, I dove right into volunteering at our VBS, I organized play dates and park dates with any group I could. I knew God was listening, but I just wanted a peace about the journey. Some clarity at my window- but nothing, still fog. Slowly as the summer gave out it's beautiful fresh sun rays, I knew the question of, " When would I feel a peace about school?" needed to be answered. I knew I wanted to home school, but I also knew I had limitations. I had a new baby on the way and a husband headed out to sea almost every month. I knew my kids loved being at home, but I also knew I had to get them out and organize much more than I could provide on my own. I needed time to exercise while alone and still make time to rest each night. I was aware that my house needed more hours than I could give when I was schooling, yet without a "paying job" could I justify to hire out? And why couldn't I do it all? I mean isn't that what every other home schooling momma did? So I prayed and searched. And prayed some more and searched more. Finally I was coming to a vision of ahead but it wasn't CC? What??? Hold the phone? How could God call me to be so involved and yet not confirm this? I mean CC was the only thing I knew. It was the only certain thing I had planned for in the new place. It was my comfort, my forte, my one good plan. But the more time I spent praying the more I felt we needed to move in a different direction. However, this momma didn't want to branch out on her own, for heaven sakes, I was already in a new city. 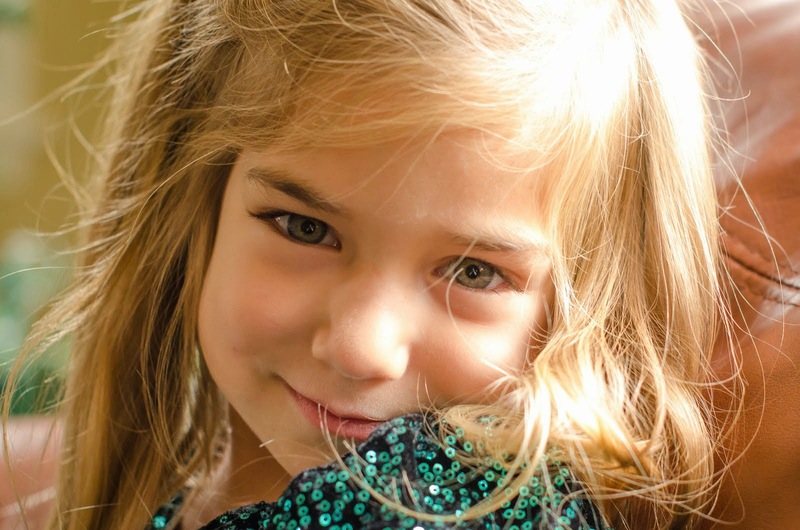 I'm an extrovert with plenty of extrovert needs, and to think I would do a home school curriculum without a CC community was just plain SCARY! But the window cleared and I started to see God would lead us through the fog. I once again lived out the scripture that says, "He who began a good work in you will be faithful to complete it." Phil 1:6. Then it happened. I started trusting again. Once I was able to take his Hand and allow Him to lead me into a new trust relationship, I was really becoming okay with anything. Even.... public school! I know, imagine that! I was totally open to whatever and where ever He wanted, I just needed it to be confirmed it was His plan and not ours. Then I thought, Lord, how could you call us to a public school? I thought this wasn't Your plan? Finally He answered. Slowly, He began to confirm in me who my kids were, who my husband was, who I was- when I was busy and when I was not. How the blog was great, but maybe not for all the right reasons. I started to see that I was truly a "unit approach" person. Always was and likely will be for a while. I had my curriculum for the year, but had to be open to tossing it out the window, because obedience was what He wanted most. Thankfully, my husband and I are still on this journey of educating our kids (as all parents are) and I did find a school that organizes all the social activities for me so we can just be social when we need to be. It's kinda my dream program. I get to teach the subjects and curriculum I want and we get to attend as many elective classes as we want or none at all. And best yet, unlike all the other schools at this time, this one still has room. Plus it was the smallest ratio for Kinder and it was FREE! So I hope I haven't lost you as a reader since I'm not doing CC, I hope you aren't going to think I am giving my children to strangers to raise since he will be in a "regular" classroom setting for 3 hours a week. And I hope you know that all of us, no matter where we are on this road to education need to listen to God everyday, every moment. Obedience is what He wants, not perfection, just obedience. I pray that for each of you this year. And finally I can honestly say, I'm ready to take flight! I look forward to where God will lead my family and yours. I pray I can still be a part of your lives as well. Your comments enrich me and I am learning each day what it means to be "educated." I am planning to teach along side the Classical subjects and will follow the same basic themes this second year, but do it differently. So if you want to come along, I invite you. I think we will have a blast learning about Newton's laws, Outer-space, The Biomes, all of it! For we are all on such a wild ride, I pray you enjoy the adventure with God and with your little ones- regardless of where He has called you. Many blessings as you start your new year! Crecia, I've enjoyed your resources and ideas over the past year (our first with CC). I will joyfully continue to follow your blog! Congratulations, three is a fabulous number, I've got a trio myself. Blessings, Kate in NH. Thanks Kate, I appreciate your kind words. Yes three will be a great number. Blessings to you as you start the year! Hi Crecia, I've also followed you this past year as a first time CC'er. I look forward to following along on your journey and will continue praying for you all. I really appreciate all the time you take to keep us posted on your adventures! Liz from Orlando. Thank you for sharing your heart. It can certainly be scary when we are waiting for God to answer and we think our time is running out. You are definitely a witness to how God offers security even in the midst of uncertainty. May you and your littles have a blessed school year.